Axel. 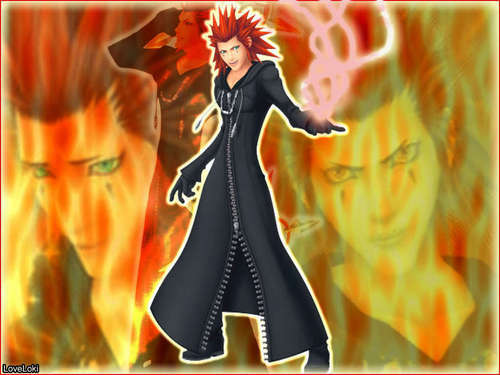 axel looks cool ^^. HD Wallpaper and background images in the 王国之心 club tagged: kingdom hearts axel kh2. This 王国之心 wallpaper might contain 动漫, 漫画书, 漫画, 卡通, and 漫画卡通.